In 1945, at just 31 years of age, Ralph Rapson was the youngest of nine architects selected to participate in the seminal Case Study Houses Program for John Entenza's Arts + Architecture magazine. The goal of the program was to apply technological innovation and Modernist principles to prototype homes designed for ordinary families. The program yielded a series of iconic modern designs including the Eames' Case Study House #8, Pierre Koenig's Stahl House, and several of Richard Neutra's classic mid-century designs. Rapson's Case Study House #4 won the acclaim of architects and critics alike, and was widely considered one of the most progressive of the submissions. Case Study House #4 had 1,800 square feet and featured the "Greenbelt"—a central, park-like interior enclosed by a translucent wire-glass roof bisecting two parallel pavilions. The use of glass and an "interior activity space" remained central components of Rapson's signature style for residential designs throughout his career. According to Rapson, the Greenbelt House was designed to "bring nature within the house—not in small, pretty, planted areas but in a large scale that will do justice to nature." In 2003, Dwell magazine invited 16 architects to submit modern prefab designs for clients Ingrid and Nathan Wieler. 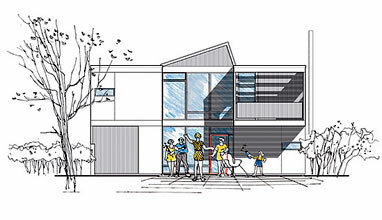 The Dwell Home Design Invitational was inspired by Entenza's Case Study Houses Program and has been cited as the source for the public's revived interest in modern pre-fab homes. Rapson—the most experienced architect in the group and the only original Case Study architect involved—submitted an updated version of his Case Study House #4, which he called The Greenbelt. The Rapson Greenbelt series of homes by Wieler is a reprisal of the original Case Study #4 design, improved with almost 60 years of experience in architecture and design and updated to take advantage of the latest modular construction technologies. The Greenbelt is available in several different configurations, and is typically built in a factory then delivered and assembled at your home site. 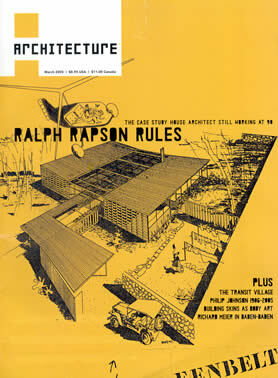 The Rapson Greenbelt is based on Case Study House #4, which was introduced in the November 1945 issue of Arts + Architecture magazine. 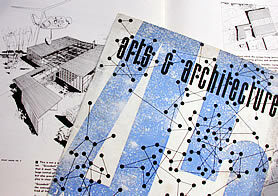 The March 2005 issue of Architecture magazine featured the Greenbelt on the cover, and included an interview with Ralph Rapson.